This year's Best of Northumberland awards are taking place at Linden Hall. 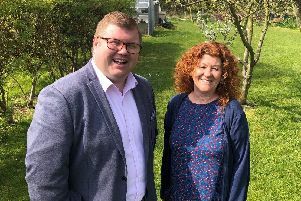 The venue for this year’s glittering Best of Northumberland awards ceremony has been announced, while a new sponsor has backed the event. The stunning Macdonald Linden Hall Country Club, Longhorsley, will host the prize-giving service on the evening of Thursday, September 15, when the winners will be announced and presented with their accolades. The annual competition honours unsung community heroes who do amazing things. Readers are being encouraged to nominate individuals and groups in the county who go above and beyond the call of duty and/or show incredible strength and courage in the face of adversity. Nominations have already started to come in and the deadline for entries is Friday, August 19. Organised by Northeast Press – publishers of the Northumberland Gazette, Morpeth Herald and News Post Leader – and Tweeddale Press’s Berwick Advertiser, the annual Best of Northumberland awards are a celebration of bravery, determination, commitment and achievement. We are looking for people who, in their everyday lives, have managed to do something extraordinary for the benefit of themselves and others. The awards are split into 13 categories, recognising a cross-section of local heroes. As part of this, Northumberland College is sponsoring the Student of the Year Award. Gillian Symington, Northumberland College’s marketing and communications director, said the educational establishment is delighted to be backing the prize. She said: “It’s so important for any community to honour the achievements of hard-working individuals and the Best of Northumberland Awards give inspiration to those who would follow their example. They also elevate the profile of the county. The other categories are Community Group; Community Champion; Sporting Excellence; Fund-raiser; Child of Achievement; Child of Courage; Green Champion; Role Model; Volunteer; Sports Team; Neighbour; and Lifetime Contribution Award. Readers can nominate their hero by email or post. For details, see the nomination form below. The headline sponsor is The Banks Group, which is also sponsoring the Green Champion award, while other sponsors so far include Northumberland County Council.